NBC 5 Wins Four National Edward R. Murrow Awards, Including "Overall Excellence"
The Radio Television Digital News Association (RTDNA) on Tuesday awarded NBC 5 four national Edward R. Murrow Awards for journalistic excellence, including the coveted Overall Station Excellence award in the Large Market Television category. NBC 5 is the only television station in the U.S. to be recognized with four national 2017 Edward R. Murrow Awards. The awards recognize the best in electronic journalism produced by radio, television, and online news organizations around the world. 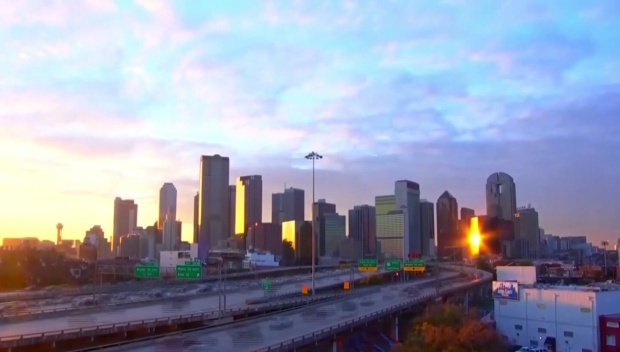 • Overall Excellence: NBC 5 / KXAS’s commitment to community, storytelling, and efforts to hold the powerful accountable was highlighted in the 2017 entry. The station’s coverage of breaking news, public health concerns, weather, politics, in-depth investigations, and exclusive interviews set the station apart in providing meaningful stories to North Texas viewers. •	Breaking News Coverage: On July 7, 2016, a gunman opened fire on police as a peaceful protest drew to a close in downtown Dallas. For the next 16 hours NBC 5 crews worked to bring critical information and perspective to an act of violence that reshaped the community and became national headlines. The station’s “Dallas Officers Ambushed” coverage ensured that a breadth of community voices were reflected on-air and online through social media platforms as the city healed. •	Investigative Reporting:NBC 5 Investigates revealed that hundreds of Dallas County Schools (DCS) bus drivers were ticketed for running red lights. The agency never disciplined the drivers but instead used tens of thousands of dollars of taxpayer money to pay the fines. That discovery led to uncovering a series of issues including major safety concerns, misuse of taxpayer money and a general violation of public trust in a public agency responsible for transporting more than 75,000 school children daily. As a result of the series “Big Buses, Bigger Problems: Investigating DCS” by NBC 5 Investigates senior reporter Scott Friedman, producer Eva Parks and photographer Peter Hull, 13 DCS school bus drivers were fired and 229 suspended. Nearly all agency management has been replaced and the Texas legislature passed a bill signed by Governor Greg Abbott establishing a voter referendum which may result in the phasing out of the agency’s operating authority. Law enforcement officials are now investigating the agency’s finances. • Excellence in Sound: NBC 5’s “The Mariachi” features the hard work it takes to be a member of Mariachi Sol Azteca as the band strives for a national championship and the additional challenge for musician Joshua Riddick, one of few African American mariachis competing at the high school level in the country. The story was produced by NBC 5 reporter Kristin Dickerson and photojournalist Mike Richard. The Mariachi Sol Azteca at the Grand Prairie Fine Arts Academy are among the best groups in Texas, under the guidance of Marta Ocampo. 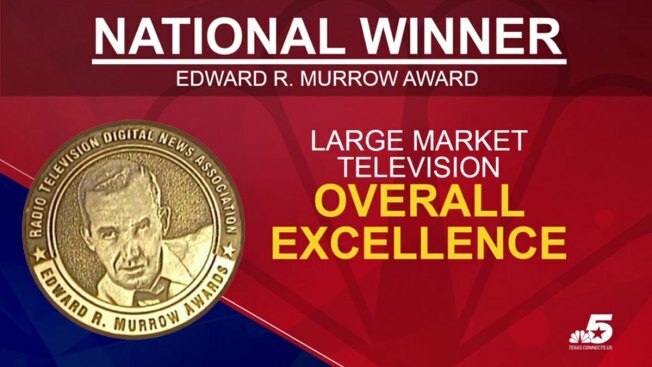 The prestigious regional Edward R. Murrow Awards are presented annually by the RTDNA, the world’s largest professional organization devoted exclusively to electronic journalism. The national awards will be presented in October 2017 at the RTDNA Edward R. Murrow Awards Gala in New York City. For a full list of award winners, click here. NBC 5 Dallas-Fort Worth / KXAS is the local NBCUniversal-owned television station serving the communities of North Texas with quality local news, weather forecasts, consumer and investigative reports and sports and entertainment programming across all platforms, including the station’s dedicated website NBCDFW.com, its mobile app, social media channels and on COZI TV (Digital 5.2), the station’s multicast channel.